The National Museum of Denmark also has Lur Horns on display. They were found in a bog and dated at 1200 - 700BC. 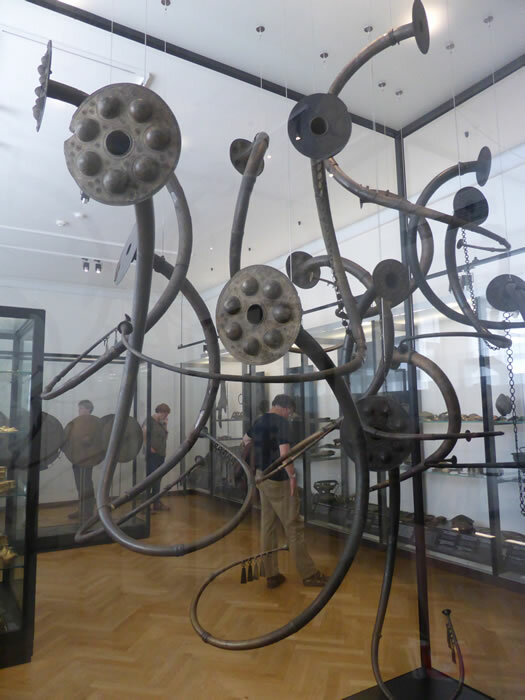 These distinctively Nordic wind instruments were used as background sounds during Bronze age rituals.